From our location in Baton Rouge, LA nestled on the banks of the Mississippi River we are able to provide air emissions testing to Louisiana’s vibrant industrial community from New Orleans to Shreveport and Lake Charles to Central Mississippi. Serving a wide range of industrial clients including refineries, petrochemical facilities, paper mills, natural gas transmission, general manufacturing and many other industries we are able to offer services that include even the most stringent testing requirements. Our clients in Louisiana say Alliance Source Testing is lagniappe! 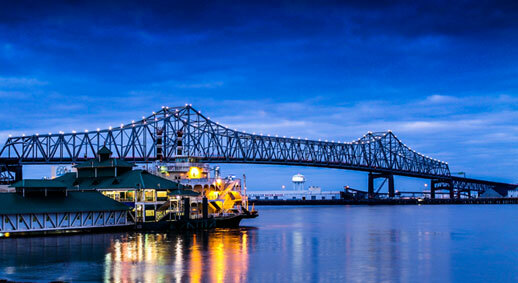 Baton Rouge, Louisiana is home to The Alliance Advantage.